Pluralsight is a technology learning platform that is lauded by beginners and experts alike. It boasts a huge number of excellent courses designed with different individuals, businesses, and governments in mind. Its complex yet intuitive system allows its users to easily and successfully identify the courses that perfectly suit their aspirations. If you are looking to improve your tech knowledge and skills, this Pluralsight review may be an interesting read. Pluralsight allows its users to acquire important skills and knowledge in the fields that pique their interests. It offers courses for virtually everyone interested in learning about the top programming languages, application development platforms, developer tools, and software practices. It is designed to help fill the knowledge and skill gaps that prevent businesses and individuals from keeping up with the latest trends in technology. Its courses vary in difficulty, ranging from beginner to expert. You get to choose what you want to learn and Pluralsight can help you identify the course and difficulty level that is best suited for you. Pluralsight is designed for individuals, businesses, small businesses, academics/teachers, the federal government, and state and local governments. It helps individuals self-improve, allows employers to better understand, improve, and keep track of their employees’ skills, lets teachers innovate and supplement the curriculum, and helps governments enhance productivity through expert-led training. In addition to paid courses, the platform offers free courses for children. Once you subscribe to Pluralsight, it is time to decide what you want to learn and start directing and monitoring your progress. While the abundance of courses may be overwhelming, Pluralsight is there to assist you every step of the way. You can start by browsing the library and viewing the latest and most popular courses or those that you are most interested in. If you are not sure where to start, you can turn to Pluralsight Skill IQ. By filling out a quiz that contains 20 questions and takes 5 minutes to complete, you can discover your strengths and identify areas in which you need improvement. IQ in Skill IQ stands for Iris Quotients. 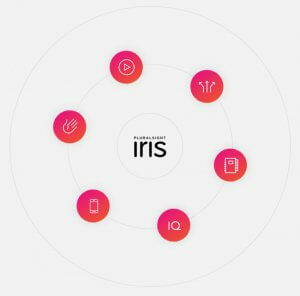 Iris is Pluralsight’s skill assessment algorithm and recommendation engine. It plays the main role in the quantification and certification of learners’ skill development and it helps users discover the skills they need to develop and guides their selection of courses. To make it easier for learners to master a particular skill, the platform has designed Paths, which merge relevant courses and tools into a unique experience of learning a specific skill from the lowest to the highest level. By opting for a Path, learners eliminate any potential knowledge gaps and build skills from the ground up. Pluralsight does not only provide on-demand courses but offers mentoring for businesses as well. Mentoring is available upon request and takes the form of live, on-demand assistance from relevant experts. Teams can decide on the topic and time and interact with mentors in real time, via video chat, screen share, and other modes of communication. Finally, Pluralsight allows you to take your courses with you wherever you go with its handy mobile apps. It provides applications for iPhone, iPad, Android phone and tablet, Windows, Mac, and Smart TVs, so you can view the courses any way you wish. Currently, Pluralsight boasts more than 6,000 on-demand courses, with new courses published daily. They are divided into 8 basic categories. These include Software Development, IT Ops, Creative Professional, Data Professional, Architecture & Construction, Manufacturing & Design, Business Professional, and Information & Cyber Security. The categories include hundreds of courses further divided into more specific subcategories. Thanks to the Paths system that we mentioned in the previous section of this Pluralsight review, getting started and choosing the right learning level is greatly facilitated. The platform offers distinct sets of features to different types of clients. Both individual and business subscribers get to enjoy the following benefits: access to the entire content library, Paths, exercise files, Channels, i.e. custom learning plans, skill assessments, course discussions, course learning checks, course completion certificates, offline viewing, mobile and TV apps, and email and phone support. Small and medium businesses gain access to additional tools and resources, including basic skills analytics, basic channels analytics, certification practice exams, trend analytics, usage analytics, coding challenges, and team management tools. Enterprises get to enjoy all of the benefits listed above, with the addition of advanced skills and channels analytics, six mentoring sessions, single sign-on for all users, API access, and data export for easier creation of reports and analyses. 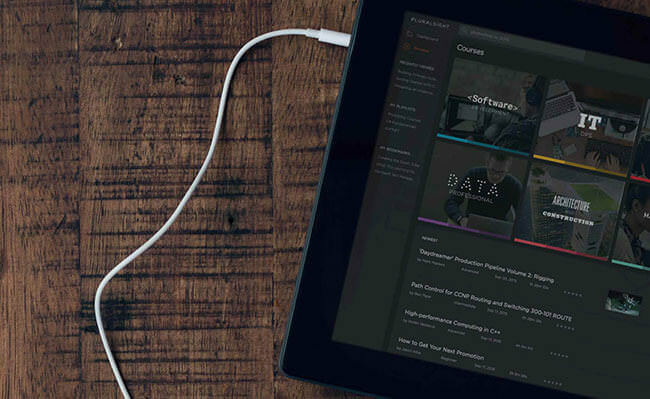 Pluralsight offers subscription plans for individuals and businesses. Individuals can opt for the monthly subscription and pay $29 per month or choose the annual subscription and pay $299 per year. Individual plans come with a free trial that allows clients to use Pluralsight for 10 days and view up to 200 minutes of Pluralsight content. Businesses can choose between the Professional plan and the Enterprise plan. The Professional plan costs $499 per user per year while the Enterprise plan costs $699 per user per year. Professional subscribers can take advantage of the 14-day free trial for up to 10 users. 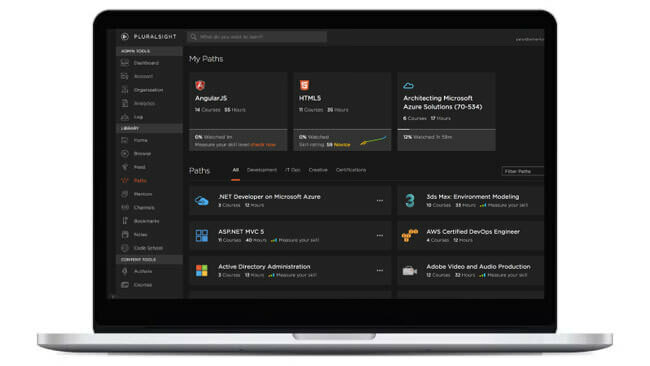 We rarely come across a learning platform that nearly everybody likes, which is why we were happy to see that the majority of users love Pluralsight. Of course, there are some minor suggestions for improvement, but generally speaking, Pluralsight is a platform most users gladly recommend. Some of the aspects of the platform that could be enhanced include the user interface that may be confusing to use at times, as well as the discrepancies in the quality of videos. While most videos are both exciting and informative, some may feature somewhat monotonous voices and provide knowledge that is too basic for a large number of users. Therefore, while learning levels are clearly marked, you may sometimes encounter a video that may not be the perfect match for the given skill and knowledge level. Fortunately, this rarely happens. Pluralsight has truly impressed us and we have to say that it is one of the best technology learning platforms we have encountered so far. During our research, we have not discovered any particularly disappointing aspect of this platform. The differences in the quality of the course videos constitute the only potential flaw. However, with more than 1,500 authors, it would be unreasonable to expect that every single video is equally informative and well-designed. 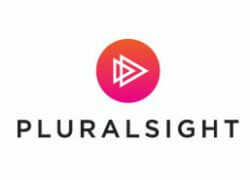 We have no doubt that Pluralsight can be a powerful ally and source of knowledge for all individuals and businesses in search of a good way to keep up with the latest trends and develop crucial technological skills. Our ratings are the result of an objective and independent evaluation of Pluralsight, generating the final rating that reflects the overall quality of the company. Ratings may change as the service changes. Pluralsight user rating based on 8 user reviews. Pluralsight gave me a unique virtual classroom experience with all the technology courses I could ever think of. I'm so glad my current company allowed me to access this huge data collection and browse more than 5k courses brimming with top-of-the-line info. It just blows my mind. The sessions grab your attention right away (especially if you're super passionate about the subject) and they seamlessly segue into well-designed and engaging assignments. The most beautiful thing about seeing so much knowledge in one place is realizing how much more your favorite field actually has to offer. I learn new things every single day. Honestly, there's not much you can dislike when it comes to Pluralsight. It provided me with cutting-edge resources to tackle many existing and emerging technologies. On top of that, the programs always start with a test designed to separate advanced users from beginners. I really like this idea since I didn't have to "waste time" going through something I already knew. It's this level of attention to details that separates unique online classrooms from those who are just plain amazing. All in all, kudos to Pluralsight for authoring great online courses and creating a welcoming environment for people who can't spend too much time on future education but want to learn nonetheless. The site is super easy to navigate in spite of the sheer amount of different courses and materials. User management is effortless and I especially like the feature that reports my weaknesses compared with others. I've been a Pluralsight subscriber for a long time and I'm absolutely in love with the platform. I'm just sad I can't afford to get the Professional subscription for my team, it's a bit outside our budget for now. Too complicated for my taste. Offline mode needs some tweaking, but other than that, best-designed learning platform I've ever seen. My warmest recommendations, possibly the best platform for techies. Wonderful mentors, amazing courses, honestly, cannot praise it enough. There’s no Pluralsight coupons or discounts right now. If you like Pluralsight but aren’t sure whether they are truly the ideal choice for you, you may want to take a look at our comparisons below to discover if one of their competitors is more suitable for you. 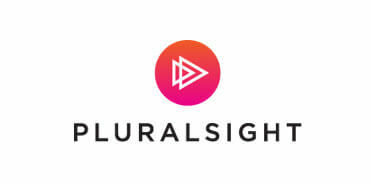 Want to find out even more about Pluralsight? Pluralsight Courses, which allows you to find out what you can learn with Pluralsight and how to identify the courses that can be of the greatest use to you.